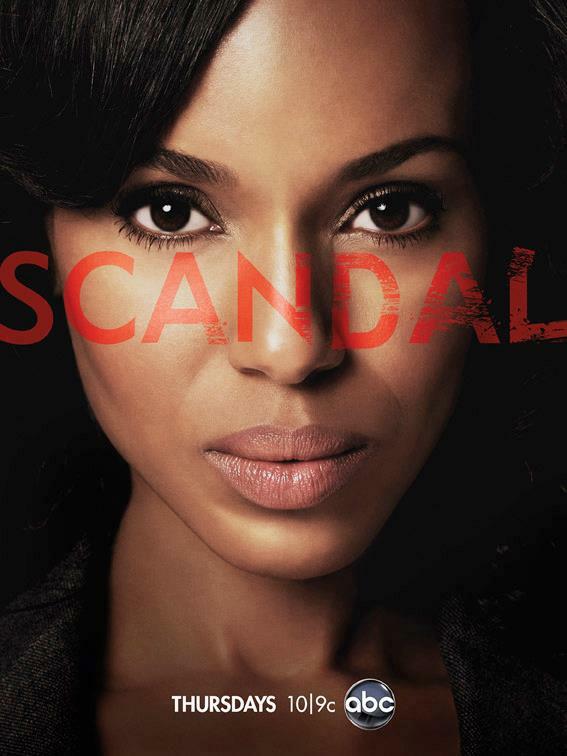 Television makes history this week with the premiere of the new ABC series, Scandal. Thirty-seven years after the first hour-long primetime dramatic series with an African-American woman in the lead role aired on television, ABC does it again. In 1974, Teresa Graves starred as policewoman Christie Love on ABC’s short-lived Get Christie Love. Now the network is moving forward and making history with Shonda Rhimes’ latest drama starring Kerry Washington as DC fixer Olivia Pope. It is the fourth hour-long drama with a black woman in the lead including two cable shows, TNT’s HawthoRNe produced and starring Jada Pinkett Smith and HBO’s The No.1 Ladies’ Detective Agency starring Jill Scott. When Scandal debuts on April 5, it comes with a few firsts. It will be the first dramatic network television series written and produced by an African-American woman for an African-American woman in the lead role. Another first is the show’s inspiration, Judy Smith, Washington, D.C. crisis communications pro, co-executive producer of the show, and a beautiful living role model. Still, little overshadows that in 2012—62 years after Ethel Waters starred as the first African-American on network TV in the ABC sitcom Beulah—too few black women play dramatic leads on television. TV has neither been generous nor diverse when it comes to casting African-American actresses. In TV history, most roles for black actresses lean towards comedy and away from drama. There seem to be more roles for black women playing the help than playing women who hire them. Since 1944, when regular network broadcasting began on NBC, the television industry has undergone revolutionary changes. But for African-American actresses, winning roles remains a challenge and too often revolves around the same choices. The advent of cable outlets such as BET, TV One, VH1 and TBS, increased the number, but not necessarily the variety of available roles for black women. Comedy slots are still popular. Reality TV roles rule from Real Housewives of Atlanta to Basketball Wives to shows with women who sing, model, rap or love rappers. Dramatic leads are limited even though unlimited drama defines reality TV. There have been a few promising moments and roles for black women, mostly as supporting actors in a small number of dramas. Diahann Carroll was the first African-American woman to star in a sitcom, Julia, which debuted on NBC in 1968 and ran for three years. In 1969, two variety shows starred black women: The Leslie Uggams Show that ran less than three months, and The Barbara McNair Show, which aired for three years. African-American women have co-starred in ensemble cast dramas such as Snoops, Brewster Place, Soul Food, The Game, Undercovers, S. Epatha Merkerson in Law and Order, Alfre Woodard in Memphis Beat, and Taraji P. Henson in Person of Interest and more. Some of the most talented black leading women, including Cicely Tyson, Ruby Dee, Debbi Morgan, and Nichelle Nichols, have been limited to leading supporting roles or guests spots on dramas and fantasy adventure dramas. And, of course, there is rare groundbreaking television with Oprah Winfrey and her long-running, successful syndicated talk show as well as all the upcoming possibilities from OWN. We all know making history does not make a hit TV show. We watch television to be entertained, to lose ourselves in somebody else’s funny, sad or implausible story. Sometimes those stories are about people who look like us, often they are about people we aspire to be or who should be avoiding. Television is a reflection and respite from our daily grind. Shonda Rhimes with two long-running, successful shows, Grey’s Anatomy and Private Practice, has a track record for producing compelling, well-written dramas. She knows how to capture all the many dimensions of a woman—complexities and simplicities, strengths and struggles, flaws and feistiness. She gets it. She delivers diverse lead roles for women of all colors. Scandal premieres with a mix of the Shonda Rhimes halo and the glow of Kerry Washington’s stellar acting skills. Together, that combination can change television history by offering a different dimension and revealing an image of black women often visually absent on television and beyond the box. Will viewers tune in to look beyond one-dimensional images of the help, the healers and the heathens and see what leading roles—and the women in them—should look like in the 21st century? Will television push past crawling into making history? Another step is in the works. NBC is developing a drama pilot, Notorious, with Meagan Good in the lead role as a detective. Time will tell if history repeats itself only every 37 years or rapidly plays catch up. This entry was posted in Television by Flo McAfee. Bookmark the permalink.